Slimmer, Stronger, Superior Thermal Performance. "Proportion is a central principle of Architectural Theory"
This page consists of rooflights with kerbs included and included into the price. 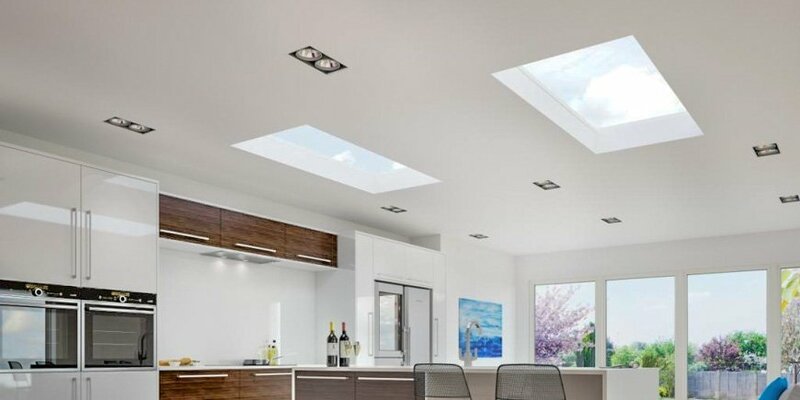 THE ALL NEW FLAT ROOFLIGHT Ultimate Performance Overall roof (frame and glass) U value 1.3 w/m2k Glass U value 1.0 w/m2k Glazing 28mm insulated double glass unit Visible Elegance Narrow internal sightlines for a perfect neat finish Full aluminium outer trim f..